Research in the Affourtit lab aims to clarify the multifarious roles of mitochondria in health and disease. Informed by real-time functional measurements of cellular and mitochondrial bioenergetics, we try to understand in particular how mitochondrial function affects glucose-stimulated insulin secretion by pancreatic beta cells and insulin responsiveness of skeletal muscle. Defects in insulin secretion and action that arise in obesity are both features of the Metabolic Syndrome, a cluster of medical disorders that collectively increase the risk of developing type 2 diabetes. Current projects focus on (1) the extraordinary bioenergetics of beta cells, (2) mitochondrial involvement in beta cell glucolipotoxicity, (3) the bioenergetics of fatty acid-induced insulin resistance of skeletal muscle, and (4) the molecular mechanism by which dietary nitrate improves human skeletal muscle function. Our beta cell work is in collaboration with Dr Martin Jastroch (Helmholtz Diabetes Center) and with Drs Thomas Solomon and Jonathan Barlow (University of Birmingham) and our work on the skeletal muscle effects of reactive nitrogen species with Professors Paul Winyard and Andy Jones (University of Exeter). 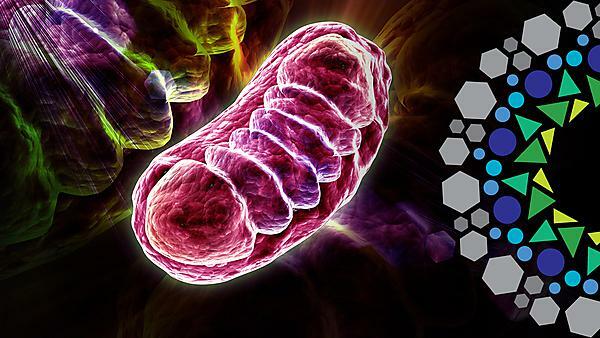 Moreover, we offer specialised expertise in mitochondrial biology to collaborative projects on the role of mitochondrial dynamics in neurodegeneration (Professor. Kim Tieu, Florida International University) and on involvement of mitochondrial dysfunction in the pathology of non-alcoholic steatohepatitis (Drs David Sheridan and Daniel Felmlee, University of Plymouth). Associate Professor (Reader) in Mitochondrial Biology. Mitochondria are pivotal for glucose-stimulated insulin secretion (GSIS) by pancreatic β cells, but the relative importance of mitochondrial ATP synthesis in controlling beta cell bioenergetics is not fully understood. Despite wide awareness that beta cells need much ATP for the production and secretion of insulin, it is also unclear when, and to what extent, beta cell bioenergetics are controlled by energy expenditure. We have recently established that the total ATP flux in ß cells is not only controlled by glucose-fuelled ATP synthesis – as implied by the canonical GSIS model – but also by ATP turnover. We now seek to quantify control of ATP supply and ATP demand over β cell bioenergetics under various physiological and pathological conditions. This basic information will be crucial for achieving full translational potential of mitochondrial targets in the clinical management of type 2 diabetes. Mitochondria are largely responsible for nutrient turnover and generate highly reactive compounds (reactive oxygen species) that may trigger inflammation under conditions of nutrient excess. Mitochondria are thus likely players in obesity-related pancreatic beta cell failure. Indeed, we have shown in experimental pancreatic beta cell models and isolated rodent islets that mitochondrial dysfunction contributes to palmitate-induced loss of beta cell mass and function. Interestingly, unsaturated fatty acids protect against the loss of cell mass, but do not prevent the functional failure of surviving cells. We now seek to clarify possible links between inflammatory and nutritional stress responses of beta cells and to understand how unsaturated fatty acids protect against beta cell loss. Nutrient excess in obesity can lower insulin sensitivity of skeletal muscle and thus increase the risk of developing type 2 diabetes. The loss of insulin sensitivity associates strongly with mitochondrial dysfunction, but the causality of this association is controversial. Generally, insulin resistance arises as a result of imbalanced cellular bioenergetics when metabolic fuel supply outweighs energy demand. 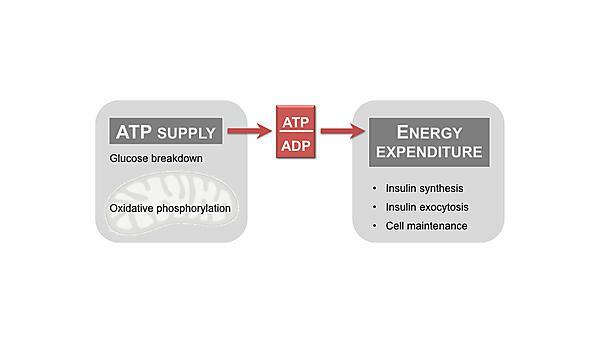 Since total ATP flux in muscle cells is largely controlled by energy demand, it is possible that mitochondrial deficiency in insulin resistant muscle is an adaptation to nutrient-induced changes in energy expenditure. We now seek to establish how ATP-demanding processes are affected by conditions that cause skeletal muscle insulin resistance and to explore whether or not the variable propensity of obese people to develop insulin resistance relates to differences in the sensitivity of muscle energy expenditure to nutrient overload amongst individuals. Dietary nitrate is an abundant component of green leafy vegetables, beetroot and some fruits, and lowers the oxygen cost of human exercise as less respiratory activity is required for a given skeletal muscle work rate. This effect is of interest to athletes, but could benefit society more broadly as nitrate may well improve the quality of life of the elderly and/or of people suffering from muscle weakness and exercise intolerance. To achieve the full translational potential of dietary nitrate, however, it is crucial to explain why nitrate benefits are not universal and why populations contain distinct responders and non-responders – this requires mechanistic insight. Our recent review of the field suggests that nitrate improves efficiency of skeletal muscle energy metabolism, but identifies some issues that preclude a precise mechanistic understanding. It remains unclear (i) how muscle bioenergetic efficiency is increased, with effects on ATP supply and demand both conceivable, (ii) whether nitrate effects are mediated by nitric oxide as widely assumed or by other reactive nitrogen species such as nitrite, and related, (iii) whether nitrogen species act directly on skeletal muscle or indirectly via other tissues. Exploiting a recently developed contracting-myotube model, we are now addressing these issues.